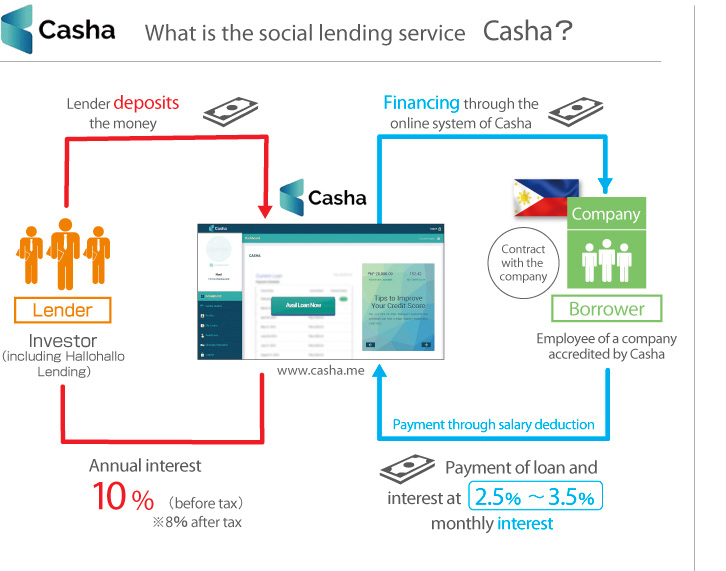 we will create a low default risk social lending service, and become a new era lending company. 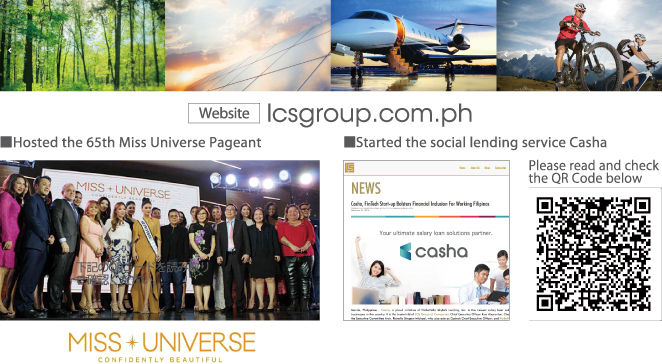 The LCS Group of Companies, also known as LCS Holdings Inc., is a conglomerate in the Philippines that is owned by the Singson family of Ilocos. It is mainly engaged in agriculture, aviation, mining, renewable energy, media and other businesses. Luisito "Chavit" Singson is the Founder and Chairman Emeritus of the LCS Group. He promotes his businesses together with his daughter, Architect Richelle Louise Singson-Michael, as vice-president. 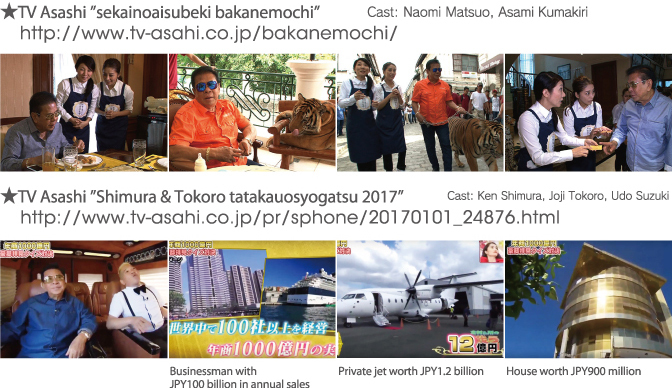 Luis "Chavit" Singson, Founder and Chairman Emeritus of the LCS Group, has been shown on TV shows in Japan as one of the richest men in the world. working in companies that have been accredited by and have entered into an agreement with Casha. 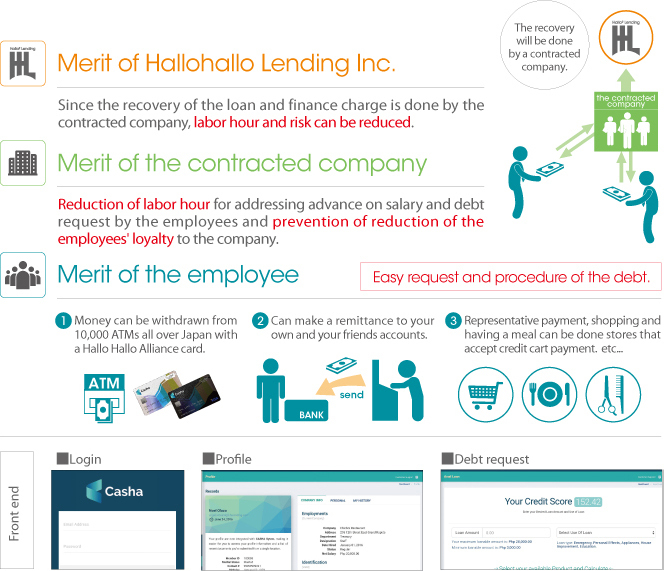 Hallohallo Lending Inc., which operates Casha, is run by the LCS Group and Hallohallo Inc.